Today, here at our HQ in the Austin Texas area it was a chilly 50 degrees. But our crew Gus and James were in Sioux City Iowa where it was 4 degrees. That’s right 4. 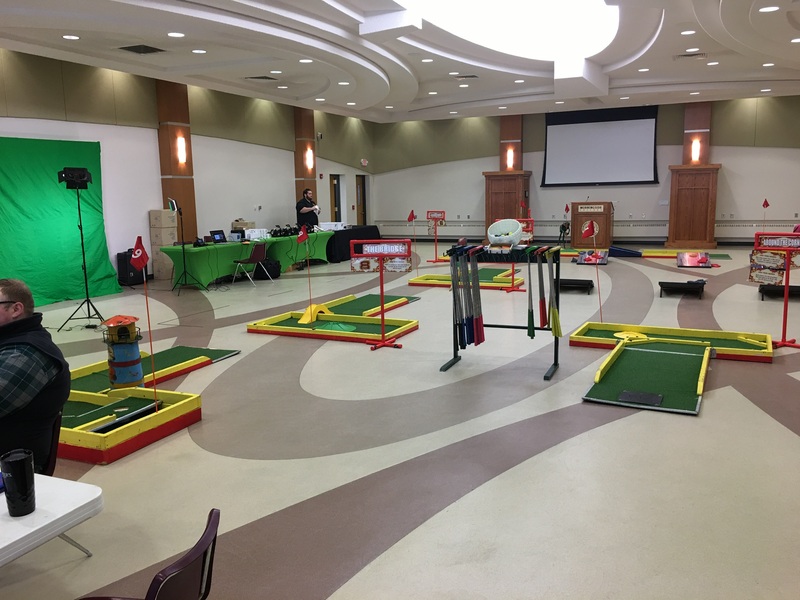 Morningside College wanted to make it feel not quite so “winter” in their student center so they brought in our Mini Golf To Go course along with Fun Fotos To Go’s Photo Mugs so students could have a personalized mug full of hot coffee, tea or hot chocolate on this cold day. Students loved the mugs and the Mini Golf course set ukp in their student union building. Our guys said it was totally worth spending 5 minutes with a cigar torch to be able to deice the locks on the trailer to have the students enjoy the course so much. We’d love to bring a little summer sunshine to you too! Fill out a contact form to have information and pricing rushed to your inbox or call Carol or Sheri at Everything But the Mime at (407) 856-2412 for college events or CJ at 512-431-9579 for non-college events.